Palm-fringed beaches, rugged mountains, lush tea plantations, spectacular ruins - Sri Lanka’s diverse landscapes are a sight to behold. The island is breathtaking, but beyond its physical beauty it’s also an intriguing destination to discover: there are sprawling national parks to visit, riveting UNESCO World Heritage Sites to see, myriad water sports to try out, picturesque train rides to enjoy and more. 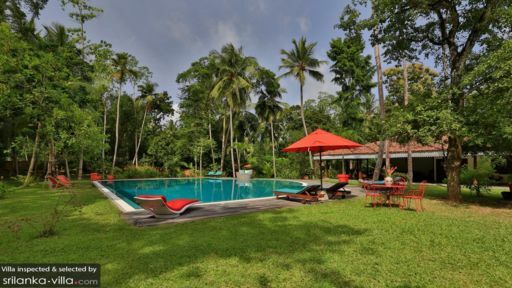 Depending on your destination, your Sri Lanka villa could be just a skip away from the beach, nestled away in a bucolic hillside setting or be within proximity to historic landmarks. Regardless of the location, the essentials remain the same across our properties: impeccable service, ultimate privacy, top of the line amenities and the option to choice from a variety of in-villa experiences. Located slightly over a two-hour ride from the airport is the coastal town of Galle. The town has retained much of its historical charm, which you’ll find in its beautifully preserved buildings, colonial-style villas and cultural landmarks. The must-sees include Galle Fort, a UNESCO World Heritage Site dating back to 1588, the Dutch Reformed Church and Martin Wickramasinghe Folk Museum Complex. Beyond historic attractions, villa vacationers fill up their days with visits to the Handunugoda Tea Estate, making day trips to the Kanneliya Forest Reserve or Yala National Park, or discovering the myriad boutiques and dining establishments within the fort. 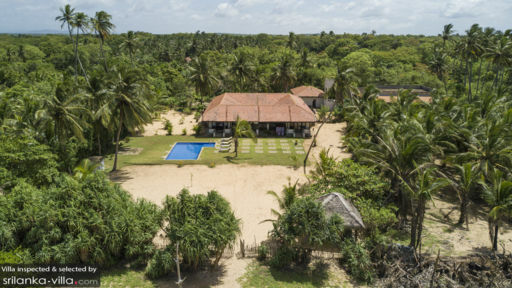 From Galle, you’re just an hour’s ride to the island’s paradisiacal south coast, where white sand, palm-fringed beaches and glimmering waters are the norm. Weligama and Mirissa are the hotspots, but holidaymakers may reside in the neighbouring town of Koggala, or even further out in Tangalle. As with most coastal towns, there’s great surfing, swimming and sunbathing to be enjoyed. But there are plenty other options available - from whale watching tours at Mirissa Harbour to taking in the architectural details and majestic statues of Wewurukannala and Mulgirigala Temple or making a day trip out to the sprawling Udawalawe National Park. In Central Sri Lanka lies Kandy, the cultural capital of the island. There are many ways to immerse yourself in the local culture: catch a traditional dance show, partake in the vibrant processions of the Esala Perahera Festival or visit the National Museum of Kandy. Don’t miss out on the main draw: the Temple of the Sacred Tooth Relic, said to contain a tooth of the Buddha. From Kandy, it takes over two hours to arrive at Nuwara Eliya. Here, the setting is bucolic and postcard-pretty, with rolling hills and emerald tea plantations. The cool springtime climate offers a refreshing change from the tropical heat and humidity elsewhere, and is just perfect for exploring nature attractions like the Hakgala Botanic Gardens or Single Tree Hill. Nuwara Eliya is also a great base for exploring world-renowned sites like Adam’s Peak and Knuckles Mountain Range. Northwest Sri Lanka boasts a picturesque, unspoilt landscape that’s thankfully untouched by mass tourism. Nature and wildlife lovers will enjoy an excursion out to Wilpattu National Park, a vast nature reserve known for its leopard population. Kalpitiya, a peninsula the juts out westwards of Puttalam is a kite surfer’s haven. Bar Reef, located several kilometres away from the northern tip of the peninsula boasts striking coral formations and colourful marine life; it’s a renowned snorkeling site. Kalpitiya also makes a great base for exploring the Sacred City of Anuradhapura - one of the destinations that make up Sri Lanka’s famed Cultural Triangle.